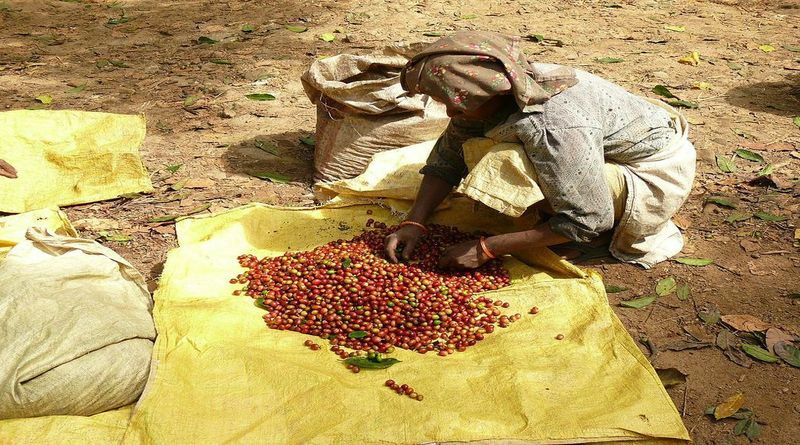 Heavy rains during the month of September in the arabica growing regions of Karnataka have set Arabica variety for an early harvest. Picking of Arabica coffee variety has already started in parts of main coffee growing regions like Kodagu and Chikmangalore from last week. Usually, Harvesting of arabica will starts by the end of November and goes into full swing in December. But this time, it started early because of rains. However, Growers in Karnataka have rised the concern over the low prices despite an anticipated decline in the domestic crop. Coffee prices have been volatile from last season fallowing global trends. Prices of pepper has also crashed over 50 percent due to increased cheap imports from others countries. According to major Exporters, early harvesting of Arabica is good for exports since arabica shipments were down last season due to poor crops. Karnataka is the largest coffee producer in the country. The Coffee Board has projected a record post blossom estimate of coffee crop for 2017-18 . The blossom forecast has been placed at 350,400 tonnes comprising 103,100 tonnes of arabica and 247,300 tonnes of robusta, showing over 12% rise over the coffee harvest of 2016-17. Board said,The rise in the estimate is mainly due to the addition of new areas under the crop in traditional growing regions. However Coffee growers have expressed 10 to 20% decline in robusta crop because of low rainfall. Karnataka accounts for around 70 per cent of the coffee that is produced in the country.India is the fifth largest producer of coffee in the world.